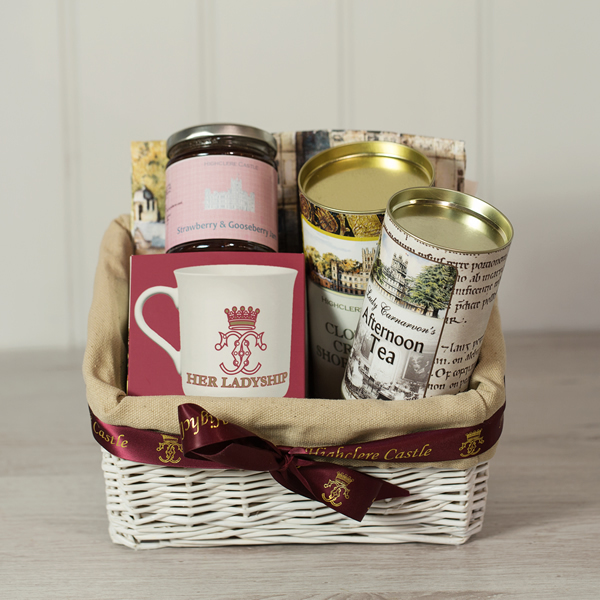 A wonderful Lady's hamper, packed in a white straw basket, cellophaned and tied with a dark red Highclere Castle ribbon. Highclere Castle Coloured Tea Towel. Size (packed): 21cm x 18cm x 24cm (8 "x 7"x 9 1/2"). Cannot be posted outside the EU. Please note occasionally we may have to substitute flavours of jam or biscuits.